There was a plethora of games that released in 2018, and it looks like 2019 is shaping up to be similar. I challenged the RPGamer staff to come up with their top three favourite games that they played in 2018. The requirements were that the game must have released in 2018, and that ports released in 2018 were acceptable as well. We hope you enjoy reading about what the RPGamer family’s favourite 2018 releases were! 1. Dragon Quest XI — Dragon Quest XI was hands-down the best RPG experience I’ve had in a long time. One hundred hours flew by with surprisingly memorable characters and a beautiful world to explore over and over again. I haven’t had the gaming sense of wonder about what’s around the next hill/valley/mountain since Dragon Quest VIII over a decade ago. I’m unabashedly a Dragon Quest fanboy and have been for 30+ years, beating each installment and side-game multiple times. It’s not a stretch to imagine after a couple years of nostalgia have set in, and a second hundred hours have been played, that Dragon Quest XI will be my favorite of the whole series. It’s perfectly classic Dragon Quest that looks beautifully modern. 2. Stardew Valley — I know it’s not new to 2018, but I patiently waited for Stardew Valley to release on by beloved Vita and was rewarded by a 2018 summer of love when it finally happened this year. From farming to mining to befriending the townsfolk, every part of Stardew Valley felt spit and polished to a perfect shine. I was concerned about the other residents’ problems, I was sad when I accidentally neglected my farm animals, and I openly welcomed the enjoyable repetitiveness that was needed to build my farm to be the best and impress dearly departed ghostly grandpa. The “just one more day” mechanic grabbed me as I couldn’t just save at any time, so many longer-than-expected sessions were spent on this absolute gem. 3. The Alliance Alive — The Alliance Alive was everything I wanted Legend of Legacy to be, but wasn’t. The cast was memorable, the search around the world for guild members exciting, the battle system engaging, and the learning of new abilities not quite as annoyingly random as other titles that use similar leveling techniques. Some may question my love of a robot duck controlled by a little girl and a sentient penguin fighting side-by-side, but it just all works for me! Witty dialogue and a well-designed game world and story were cherries on top of this treat of a game that kept me up nearly to sunrise one early December morning to complete I was so engrossed. 1. The Lost Child — Developed by the same team behind God Wars: Future Past which I tackled in early 2018 and adored, I was really looking forward to seeing how they tackled a dungeon crawler, and I wasn’t disappointed. The combat mechanics are really fun, the exploration is handled well (even if some sections are a bit long) and the story holds everything together without being overbearing. 2. Final Fantasy XV: Pocket Edition HD — As someone dedicated to #TeamHandheld, I had to wait for FF15 to land on portable devices before diving into it, and Pocket Edition is a fantastic distillation of the broader PS4 title down to its necessary plot beats. It also has unique mini-games and a side quest structure not found in the main game. Once I picked it up I could barely put it down. 3. Radiant Historia: Perfect Chronology — Having missed the original DS launch, I was happy to hear I’d get a second change to try out the game! While the combat won’t win any awards, the story, told between two alternative timelines, was imaginative and carried impactful narratives both large and small. With new content and new endings, there’s even reasons for veteran players to jump into the Radiant Historia again too. Telltale’s Batman: The Enemy Within — While I played both seasons of Telltale’s take on a Batman story, it was the second of the two games that really struck me as amazing. The graphics look like you’re living inside a comic book and the voice acting is top notch. Most importantly, choices actually matter — there’s two completely separate final chapters which are influenced by the many decisions you make over time. There’s also specific events where you’ll need to choose whether you tackle them as Batman or Bruce Wayne, and the outcomes can drastically vary. My favourite Telltale game so far. 1. Xenoblade Chronicles 2: Torna ~ The Golden Country — Quelle surprise. It offers both a great standalone tale, as well as doing a gret job building on the backstory and events of Xenoblade Chronicles 2 itself. The adjustments to Xenoblade Chronicles 2‘s combat system are great, helping to differentiate it from the main game and making it the best system in the series so far. Torna ~ The Golden Country has plenty to offer both newcomers and veterans, once again showcasing MonolithSoft’s fantastic graphic and audio design and easily comes away as my favourite title of 2018. 2. West of Loathing — This wasn’t one I was expecting to put so highly but West of Loathing‘s Switch release was a revelation for me. The game is a great fit for the system, particularly on handheld mode and provided a thoroughly enjoyable time. The humour is great throughout, the stick-figure animations are fantastic, and the Wild West soundtrack is highly enjoyable to listen to. All in all West of Loathing is a great title and well worth spending the twelve to fifteen hours it takes to play through it on. 3. Valkyria Chronicles 4 — Though I will always prefer the narrative of the original Valkyria Chronicles, there’s no denying that Valkyria Chronicles 4 has the best gameplay of the series. The balance is excellent and all the new additions and tweaks have created a fantastic strategic RPG. The watercolour graphical theme again works brilliantly. Its announcement back in 2017 was a pleasant surprise and I’m pleased to say it didn’t disappoint. 428: Shibuya Scramble — Though 428: Shibuya Scramble was released in Japan in 2008, it took until last year to make it west with the creation of the new PS4 and PC versions of the game. It takes an unusual approach to visual novels: rather than using character artowrk, all of the visual elements comes from photos using Japanese actors. However, this is just one of the elements that helps it stand out, a fascinating intertwining story builds between its large assortment of cast members and the way that decisions after the other characters combines nicely by excellent writing and a great localisation. 428: Shibuya Scamble has swiftly become one of my favourite narrative games of all time and it’s an easy recommendation for anyone. 1. 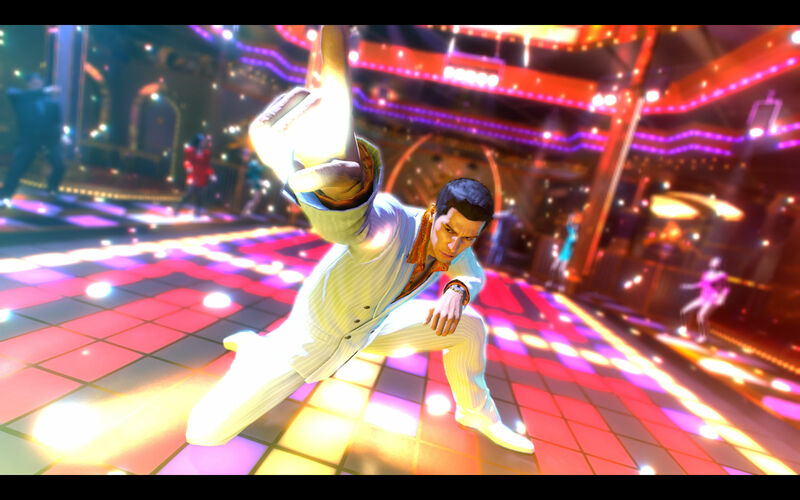 Yakuza 6: The Song of Life & Yakuza 2 Kiwami — This was an easy tie for first place, as Sega graced me with two Yakuza titles in 2018. Kiwami 2 is a remake of my favourite Yakuza game, so it was amazing to have a replay and everything from the combat to the graphic feel fresh and updated. Plus, I got to punch a tiger again, which I maintain is still the hardest battle in that game. As for Yakuza 6, what an amazing finale to Kazuma Kiryu’s story! Compelling, somber, but still has the series signature humour, there was so much to love in such a tight and condensed package. This series continues to own my heart, and I cannot wait for what Judgement has in store this summer. 2. Assassin’s Creed Odyssey — I always had a love/hate relationship with the Assassin Creed franchise. I always loved the romp through history, but I was never fond of the games trying to be rooted in the real world. The combat was always meh, but the exploration always had high points. What I loved about Odyssey is that this is the reboot the franchised needed from fluid combat, tons of skills to customize your protagonist, while having a vast world that is interesting to explore. On top of that, the series gave us Kassandra, who may be the best protagonist since Ezio — she’s charming, funny, and recognizes that she has faults. I fell hard for Kassandra and she was just another reason in the long list as to why I adored my 60+ hours with Odyssey. 3. Stardew Valley — I should have played this sooner, and didn’t. I love Harvest Moon, I love games where the ensemble cast is all loveable, and Stardew Valley got me out of one of the tougher emotional ruts I had been in. It’s hard not to love a game that teaches you about empathy while simultaneously having wonderful gameplay that makes you stay up way past your bedtime! Life is Strange: Before the Storm — While I loved the original Life is Strange, I will admit I actually connected on a deeper level with Chloe’s story in Before the Storm. I am loving that there are many games out there that are willing to have honest and frank discussions regarding mental illness, and I found myself nodding along with a lot of Chloe’s emotions, particularly her anger, her grief, and the way in which she allow it to consume and manifest into poor behaviour. I loved being able to work through Chloe’s story as an extension of my own feelings, and I encourage more gamer’s out there to check out the original Life is Strange and Before the Storm if you want great representation regarding mental illness. 1. Dragon Quest XI — This is honestly the direction JRPGs should have been heading for the past 20 years. 2. Ni no Kuni II — A game that had me glued to every second of it. Where it lacked in story, it made up in tons of content to dive into. It felt good to be king. 3. Radiant Historia: Perfect Chronology — A remake that improved on the original in every single way. This game was a beautifully told story that deserves a look, and a must have for any 3DS owner. 1. Pokémon: Let’s Go Eevee — The entire reason I wanted a Gameboy Color was to play Pokémon: Yellow. After playing the game, I started watching the show and collecting the cards. I was obsessed with Pokémon! The newest entry brings back great memories while showing an exciting glimpse of what to expect going forward. 2. CrossCode — This was my first review for the site, and my first published review ever. I am totally biased! Amazing throwback to 16-bit classics. 3. 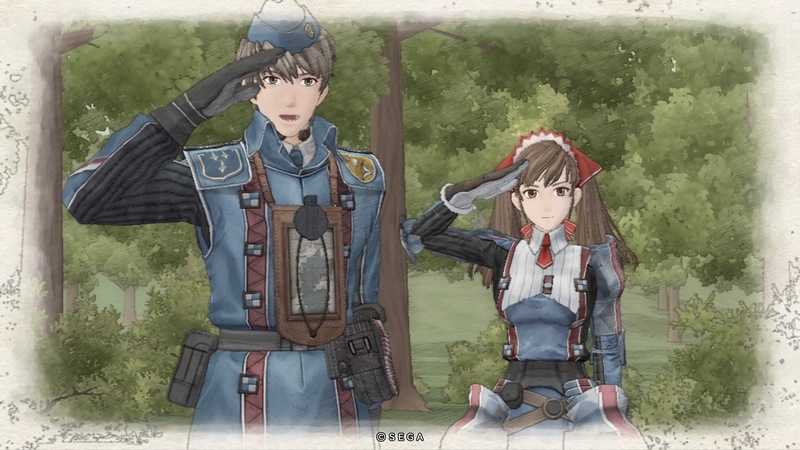 Valkyria Chronicles 4 — While this entry doesn’t add much to the original formula, it does a good job of actually returning to the original formula. I didn’t care for 2 and 3 never got localized, so this feels like the first true sequel to a unique, innovative game that I consider one of the best ever made. Super Smash Bros. Ultimate — I am a huge fan of fighting games! While other series have switched to smaller character rosters, less modes, and more paid DLC over the years, Nintendo is the new champion of giving players their money’s worth. A whopping 74 fighters at launch, including every fighter, stage, and music track from all of the previous games as well as many new ones. A very long story mode, which is practically unheard of in this genre now. Most importantly, this game is FUN! Definitely the best fighting game currently on the market! 1. Dragon Quest XI: Echoes of an Elusive Age — It’s epic, it’s colorful, it’s classic JRPG design that I wish I played more of these days – it’s simply a joy from start to finish. And then some more to the real finish. I’m not a Dragon Quest die-hard, but this one did so much right it easily tops my list. 2. Kingdom Come: Deliverance — I found myself continually shocked as I played through this historical RPG set in 15th century Bohemia. The combat mechanics were maddening in their finickiness, the lockpicking mechanics made me teeter on the edge of rage-quitting, and the game’s insistence on realism by denying your commoner protagonist easy access to skills a man of his station wouldn’t have known at the time — horseback riding, reading, brewing potions — initially made me curse my rotten luck for volunteering to review this one. But the story, the characters, and the world — once I surrendered to play by its rules — won me over in a way few games have ever been able to do before. 3. Hero-U: Rogue to Redemption — A mix of my two absolutely favorite genres of games, together in one comeback package by true icons and veterans of the adventure genre was sure to stand out when looking back on a year of gaming. The Cole’s Quest for Glory series is back, and hasn’t lost any of its stride in all the years of its absence. Marvel’s Spider-Man — There were a handful of other games besides Insomniac’s turn with the webhead that managed to absolutely make my jaw hit the floor in 2018, like Soma and Hollow Knight. But Spider-Man had an extra hurdle to overcome that those others didn’t, because, when I demoed the game at E3 this past summer, I walked away less than impressed with its web-slinging and combat. Suffice it to say that a few minutes of properly learning the game’s controls made all the difference to keep me up late into the night to 100% this one, only to go through a few days of withdrawal once it was over. 1. Hero-U: Rogue to Redemption — And speaking of removing the bad taste of past experience, we have the continuation of the Quest for Glory series, a well-written romp that showed us how the fifth game of the old series, Dragon Fire, could have been. 2. West of Loathing — I hadn’t played the original online game in years, but fond memories of its text-based adventuring and idiosyncratic graphical style linger. A single-player campaign that played off the original’s strengths in terms of writing, but with a new play format and job classes, was exactly what I needed after a few duds. 3. Yuusha Shisu (Hero Must Die!) 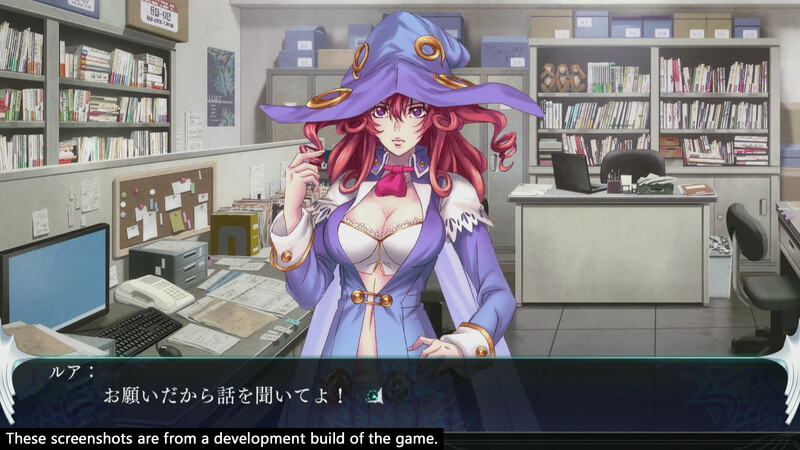 — The remake and expansion of a cell phone game, Yuusha Shisu offered an interesting, deconstructed take on a lot of Japanese RPG fantasy tropes, as well as an incentive to play through it multiple times. I might try it again for the Best Ending this year. Honorable Mentions: Legend of Zelda: Oracle of Ages, Magical Vacation, and Tactics Ogre: Knight of Lodis, for keeping my Game Boy SP warm. We hope this feature tides you over for the reveal of our Game of the Year. We’d love to know in the comments what your Top 3 RPGs of 2018 were! 1. Yakuza Kiwami 2 – Fantastic combat and Kiryu got a rival that was actually a match for him. It’s the pinnacle of the series. 2. Zwei: The Arges Adventure – I probably wrote more about this game in 2018 than any other, but I’ve never laughed out loud as much at a videogame. Falcom writing at its finest. 3. Valkyria Chronicles 4 – Never reached the narrative heights of the first game, but the combat was really well refined over the original. Hopefully, another 10 years doesn’t go by before we get another iteration on this system. Actual #1 428: Shibuya Scramble – Best visual novel I’ve ever played. I loved the way that it intertwined the different character’s stories together and it’s interesting to see where games like VLR got some of their ideas. It’s fantastic, anyone with a passing interest in Visual Novels should play it. Actual #2 Moss – I’ve never connected with a character in the way that I did with Quill. It’s such an interesting use of the VR medium to create immersion through this connection with a small mouse. Every time she would give me a thumbs up when I’d figure out a puzzle or pantomime a potential solution would just make my heart melt. I love this game sooo much and can’t wait for the next part. Actual #3 Into the Breach – Even though this is third, I think this might be a perfect strategy (RP?) Game. It is at the same time simple (just an 8×8 grid if memory serves) but devilishly complex. All the enemy moves are telegraphed, and you just have to make the correct choices. When you fail, it’s always your fault. Just an incredibly well put together experience. Your contribution is noted. Into the Breach is almost gaming perfection. Episodic in the perfect way for Switch handheld mode, but the roguelike elements make even a single play session meaningful for overall progress. Into the Breach was one of my top games of the year. Easy to pick up, difficult to master. Thank you for sharing your faves. I loved it!